Natures bliss to treat pelvic congestion, uterine dysfunction & menopausal disturbances. An excellent Utero, Ovarian Sedative, Anodyne Capsules & Syrup. Ashoka, Lodhra, Nagakesar, Satavari, Aswagandha, Triphala, Draksa, Panchaparni, Manjista, Kutaja, Sveta Sariva, Dhataki, Punarnava, Aloe vera, TrijatakaArka (Distillate of Cinnamomum, Cardamomum& Cloves), Syrup -base. Delivers a balance of efficacy and safety. High potency tonic marked for astringent, analgestic, anti-inflammatory and uterine sedative effects on the endometrium and ovarian tissues. 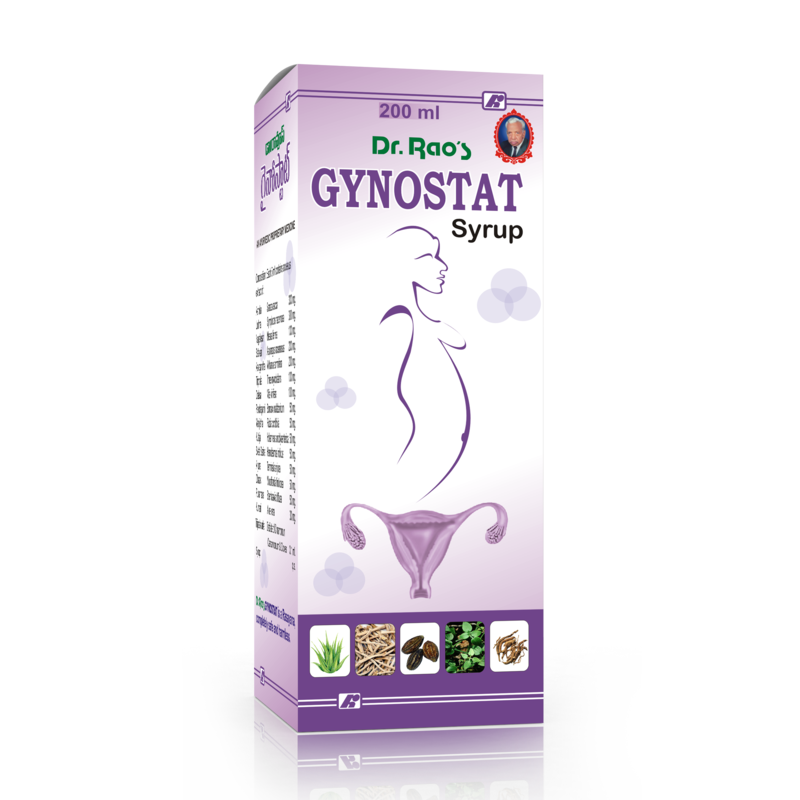 It is efficacious in menorrhagia, metrorrhagia, dysfunctional uterine bleeding and leucorrhoea. Helps as tranquilizer and hypotensive action to calm premenstrual tension. Reduces pelvic congestion and regulates menstrual cycle. Regulates ovarian and uterine dysfunction. Provides natural phytochemicals so free from hormonal side effects. Maintains natural balance between endocrines and emotions without psychosomatic disturbance. Ashoka (Saraca), Symplocosracemosa, Mesueferrea, Satavari (Asparagus), Withaniasomnifera (Aswagandha), Three Myrobalans (Triphala), Vitisvinifera, Bombaxmalabaricum, Rubiacordifolia, Holarrhenaantidysenterica, Hemidesmusindicus, Terminaliaarjuna (Arjuna), Woodfordiadiffusa, Boerhaaviafruticosa, Aloe vera, TrijatakaArka (Distillate of Cinnamomum, Cardamomum& Cloves), Syrup -base. Two teaspoonful twice or thrice a day after food.